How much of a difference can young people make in addressing the problems our society faces? What makes their voices uniquely powerful? When have youth-led movements influenced policy in the past, and what can we learn from them? Do You Think It Is Important for Teenagers to Participate in Political Activism? Can people under age 21 make a real impact on society? For example, can they be instrumental in changing laws or policies on issues they care about? How? What examples from the past or present can you think of to support your opinion? List as many as you can. In this post, students consider these questions as we are going to examine gun-violence activism by teenagers in the US. We will go further by learning about youth movements in history. Great class discussion by considering actions they might take around the issues they care about. How much of a difference can young people make in addressing the problems our society faces? What makes their voices uniquely powerful? The lunch counter sit-ins that would change American history began with four teenagers who walked up to a Woolworth’s lunch counter in Greensboro, N.C., and refused to leave. 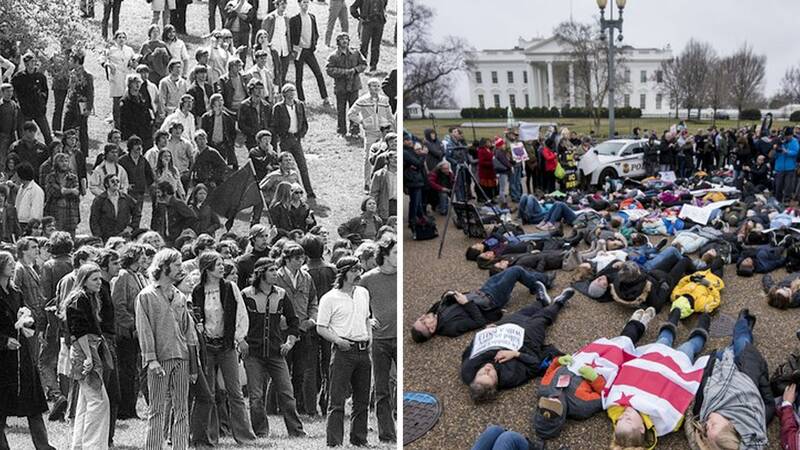 In the spring of 1968, student protests exploded on multiple continents. Some accomplished their stated goals and others did not, but even the latter contributed to a climate in which change seemed possible and more people were inspired to act. A rally in Soweto, South Africa, in October 1976 after the funeral of a black student who died in jail. Thousands of students filled Sproul Plaza at the University of California, Berkeley, in April 1985 to protest the university’s business ties with apartheid South Africa. On June 4, 1989, several weeks of student-led pro-democracy demonstrations in Beijing ended in slaughter when thousands of Chinese troops began firing on crowds of protesters in Tiananmen Square. Hundreds of people, possibly thousands, were killed; a death toll was never released. Eight days after the Berlin Wall fell, signaling the beginning of the end of East Germany’s Communist government, the students of neighboring Czechoslovakia stepped in to topple their own. The uprising began with thousands and grew until Prague was flooded with 500,000 protesters, who stayed stubbornly peaceful even as riot officers attacked, giving the revolution its name. Just 11 days after the protests began, the Communist Party of Czechoslovakia relinquished power, paving the way for the playwright Vaclav Havel to become president in December. After a series of scuffles between college students and the police in July 1999, officers raided a dormitory at the University of Tehran, wounding at least 20 people and jailing 125. If their goal was to stop the unrest, the police could not have gone more astray: In response, more than 10,000 Iranian students took to the streets. In the short term, the protests forced officials, including President Mohammad Khatami and Ayatollah Ali Khamenei, to condemn the police raid. The ayatollah urged restraint even if students “set my picture on fire or tear it,” a remarkable directive from a government not normally tolerant of political dissent. A Black Lives Matter protester in St. Louis in September, after the former police officer Jason Stockley was acquitted of murder in the shooting of Anthony Lamar Smith. n 1954, the Supreme Court ruled that « separate but equal » schooling was not, in fact, equal, and officially ruled school segregation unconstitutional with the case Brown v. Board of Education. 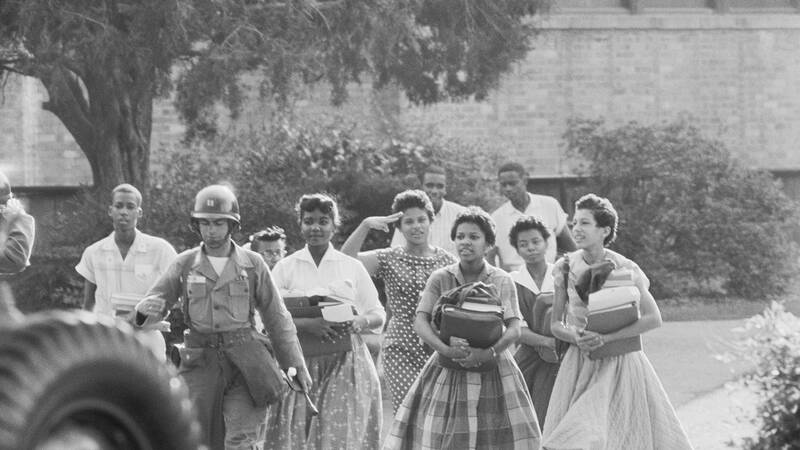 But when nine black teenagers tried to enter Central High School in Little Rock, Arkansas, in September 1957, they were met with an angry mob and Arkansas National Guardsmen who stopped them. While the tangible impacts of the student-led #NeverAgain movement may not be known for several years, its achievements in less than two months are already noteworthy — perhaps even historic. On March 14, nearly one million students participated in as many as 3,000 walkouts, The Wall Street Journalreported. Ten days later, on March 24, adult allies joined young people in hundreds of March for Our Lives events around the world, including the Washington, D.C., march, which drew as many as 800,000 participants. The #NeverAgain movement has already produced iconic figures — Emma González, David Hogg, Naomi Wadler, and Trevon Bosley, among others — and viral moments, including when a group of Pennsylvania high school students transformed their walkout detention into a silent sit-in, and when Wisconsin students marched 50 milesto pressure House Speaker Paul Ryan over gun control. “We are ready to keep the pressure on our nation’s top leaders until gun reform is a priority for Republicans and Democrats,” the group wrote on its website. Another national day of action is planned for April 20 — the anniversary of the Columbine High School shooting — and youth discussions around gun violence are rapidly becoming more sophisticated, growing to include not only mass school shootings but also neighborhood violence and police shootings. Presumably, this national youth movement will eventually tackle domestic violence, suicide, and militarism, as well. The Children’s Crusade was a controversial episode of the modern civil rights movementand the 1963 Birmingham Campaign in which African American school children marched for desegregation. 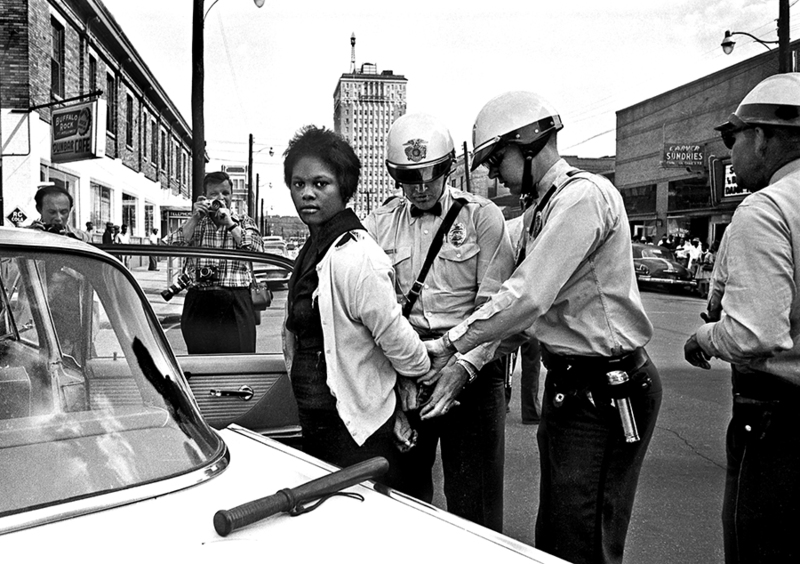 Organized by the Alabama Christian Movement for Human Rights (ACMHR) and the Southern Christian Leadership Conference(SCLC) in Birmingham, Jefferson County, it was intended to force integration of public spaces and local businesses in the famously segregated city. Although unsuccessful in immediately desegregating the city’s public spaces, the Crusade did bring national attention to the harsh realities of Jim Crow laws in the South. Soon after the event, Pres. John F. Kennedy called for a civil rights bill that one year later became the Civil Rights Act of 1964.